Sleep well to be well. 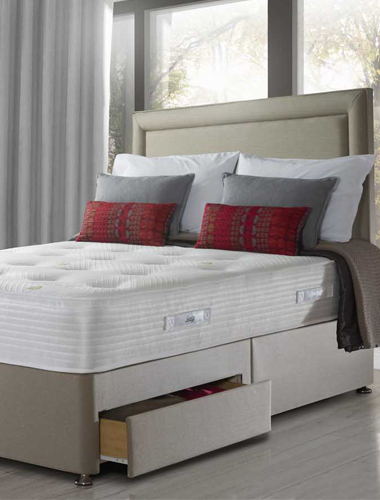 The Activsleep range from Sealy has one goal and that is to promote healthy living through healthy sleep. A good night’s sleep should leave you feeling refreshed and energised, ready to conquer all that the day throws at you. To wake up feeling energized and well-rested is the best feeling in the morning, right? With 9 models in the range boasting everything from Geltex to Memory Foam and pocket springs to posturepedic spring systems – the Activsleep collection offers a variety of spring systems and comfort ratings to not only make sure you get the support that’s right for you but ensure you wake up feeling restored and ready to seize the day. Discover the Sealy Activsleep bed collection available at Beds Are Uzzz. 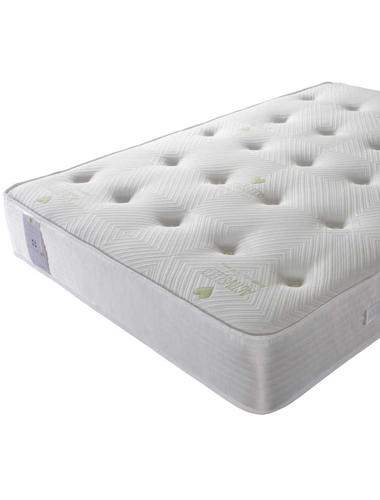 Discover the Sealy Activsleep mattresses collection available at Beds Are Uzzz. 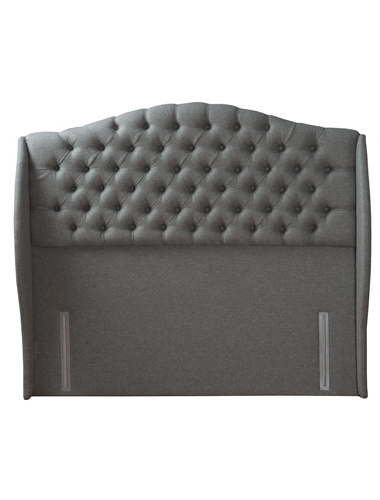 Discover the Sealy headboard collection available at Beds Are Uzzz. Beds Are Uzzz are one of the UK’s largest independent retailers with a huge selection of products available to buy through our website. We also have some Sealy display’s for you to try throughout our stores. Please click on a branch below to get in touch with us we will be able to let help with any of your enquiries. The Beds Are Uzzz London store has been trading for over 30 years and is situated in Greenford (adjacent to Ealing). The store is positioned on the main road that passes through Greenford. Our store is open 7 days a week and has over 4000 square feet of beds and mattresses on display including a huge selection of Vispring models. Other brands on display include Tempur, Hypnos, Dunlopillo, Relyon, Mammoth, Stuart Jones, Bentley Designs, Nolte Mobel Furniture and our own Beds Are Uzzz Beds and Mattresses. The London Beds Are Uzzz store is the head office for the Beds Are Uzzz Group. Beds Are Uzzz Dorchester enjoys a picturesque listed shopfront in this busy and growing market town, as with all our stores, the Dorchester branch displays an extensive range of the country's best beds and Mattresses including Vispring, Tempur, Hypnos, Dunlopillo, Relyon, Sealy UK, Rest Assured, Stuart Jones, Bentley Designs and Mammoth products. The Beds Are Uzzz Hemel Hempstead store is situated in the quaint old town high street of Hemel Hempstead. Our store is open 6 days a week and has over 2000 square feet on two levels of beds and mattresses on display including a huge selection of Vispring models. Other brands on display include Tempur, Hypnos, Dunlopillo, Relyon, Mammoth, Stuart Jones, Bentley Designs, Nolte Mobel Furniture and our own Beds Are Uzzz Beds and Mattresses. Beds Are Uzzz Southbourne is set beside the sea between Bournemouth and Christchurch in the suburb of Southbourne. Open seven days a week this studio showroom boasts over 4000 square feet of beds, mattresses and bedroom furniture from the country's leading brands including Vispring, Hypnos, Tempur, Relyon, Sealy UK, Rest Assured, Stuart Jones, Bentley Designs and Mammoth which are complimented with Nolte bedroom furniture. The Beds Are Uzzz Maidenhead store is situated in Maidenhead Town Centre. It is part of the Nicholson's Shopping Centre although it is actually positioned just outside of the Western Door of the Shopping Centre, in King Street. Our store is open 7 days a week and has 2 floors of beds and mattresses on display including a huge selection of Vispring models. Other brands on display include Tempur, Jensen, Dunlopillo, Relyon, Mammoth, Stuart Jones, Bentley Designs, Nolte Mobel Furniture and our own Beds Are Uzzz Beds and Mattresses. The Beds Are Uzzz Harrow store is situated on the main road that passes through Harrow. Our store is open 6 days a week and has over 2000 square feet of beds and mattresses on display including a huge selection of Vispring models. Other brands on display include Tempur, Hypnos, Dunlopillo, Relyon, Mammoth, Stuart Jones, Bentley Designs, Nolte Mobel Furniture and our own Beds Are Uzzz Beds and Mattresses. Parking: Please park in the Tesco diagonally opposite as there is no off street parking at this branch. We guarantee we will never be beaten on price. T's & C's Apply. We pride ourselves on the highest levels of customer service & expertise. We offer free nationwide delivery & installation.